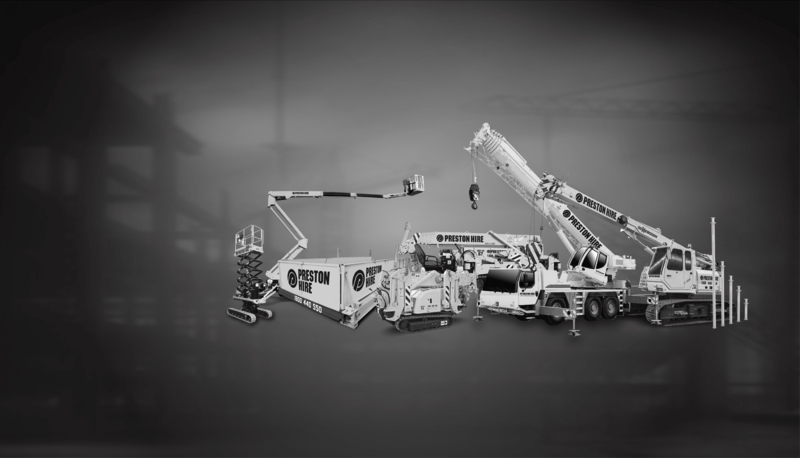 Our modern, extensive and well-maintained crane hire fleet is comprised of Maeda, Sennebogen, UNIC and Kato mini cranes and large cranes in a wide range of models and capacities to suit your needs, available for wet or dry hire. 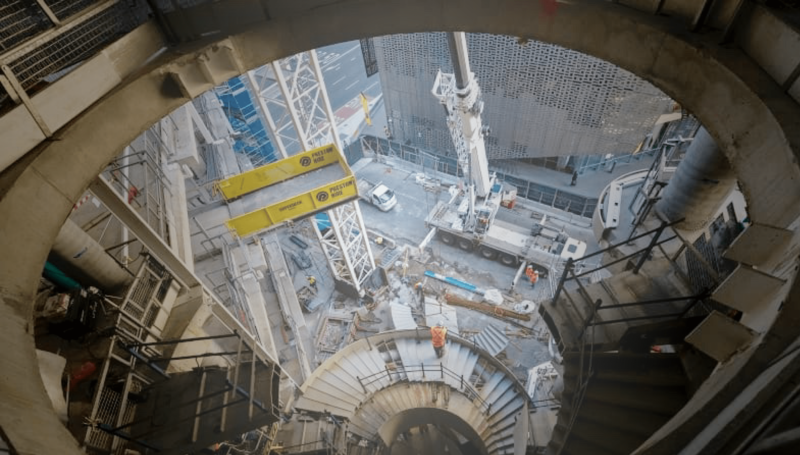 As crane hire providers to the construction industry for over 40 years, and a member of key industry associations, Preston Hire has an in-depth understanding of crane requirements and delivers quality crane hire with expert service and support to match. Access Equipment suitable for indoors and outdoors including up to 20˚ front & back and 15˚ side to side inclines and uneven terrain. 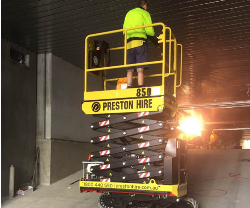 Preston Hire offers compact scissor lifts are versatile and able to handle any challenge you throw at it. 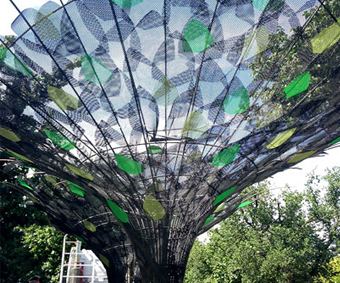 The SuperElevate range are perfect for agriculture, construction, building & park maintenance, tree care and many more. 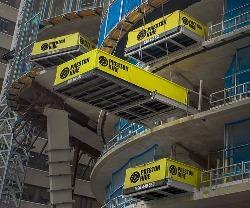 ℗ Preston Hire's patented retractable crane loading platform system, SuperDeck ® , has long been the preferred system in multi-storey construction around the world. 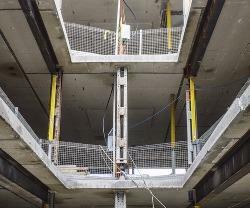 Able to be vertically stacked and rolled in and out as required, as opposed to the traditional staggered deck configuration, SuperDeck™ loading platforms increase the efficiency of materials handling by minimising hindrance to crane ropes and loads to create faster, safer and more cost-effective crane operation. At Preston Hire we supply and install a comprehensive range of high quality propping hire solutions, allowing us to deliver a highly flexible approach to propping that can readily meet the diverse needs of our many customers in the building and construction sector. We also stock an extensive selection of propping products for hire, plus associated high quality equipment and components, to ensure all our propping hire solutions meet our customers’ needs for durability and safety. 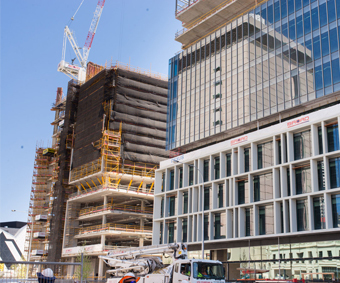 Australian construction hire company Preston Hire recently joined forces with global contracting company Brookfield Multiplex at Capital Square construction site in Perth’s CBD for Cystic Fibrosis Australia. 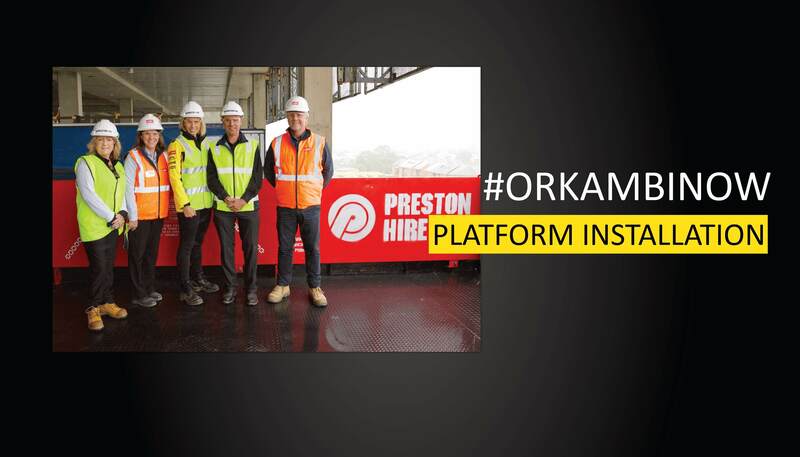 In a bid to help raise money and awareness Preston Hire installed one of their SuperDeck® loading platforms to the 28 level construction site with a red rose as a symbol for advocacy group Cystic Fibrosis Australia (CFA). 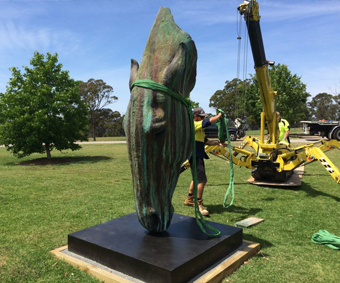 Named after five-year-old Tilly Martin a brave young girl who has Cystic Fibrosis, ‘Tilly’s Deck’ will be used to load materials safely to various levels of Woodside Petroleum’s new headquarters on Mounts Bay Road in Perth. 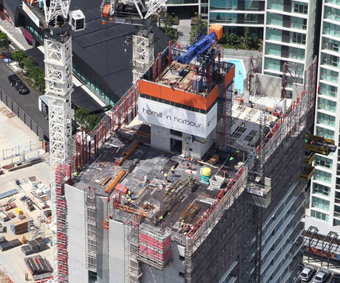 Preston Hire’s crane fleet includes the largest mini crawler crane fleet in Australia ranging in capacity from 1.7t to 6.0t . Preston Hire also specialise in hydraulic crawler cranes ranging in capacity from 3.0t > 70t. Our extensive fleet comprises of leading brands such as Liebherr, Sennebogen, Maeda and Kato. 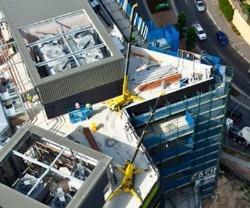 A wide range of scissor lifts and Elevated Work Platforms, with a variety of vertical working heights and outreach. Perfect match for your work type and context, enabling traversing at heights and tackling undulating or rough terrain with safety and ease with versatility. Preston Hire offers a wide range of intelligent propping hire solutions for those working in the building and construction industry. 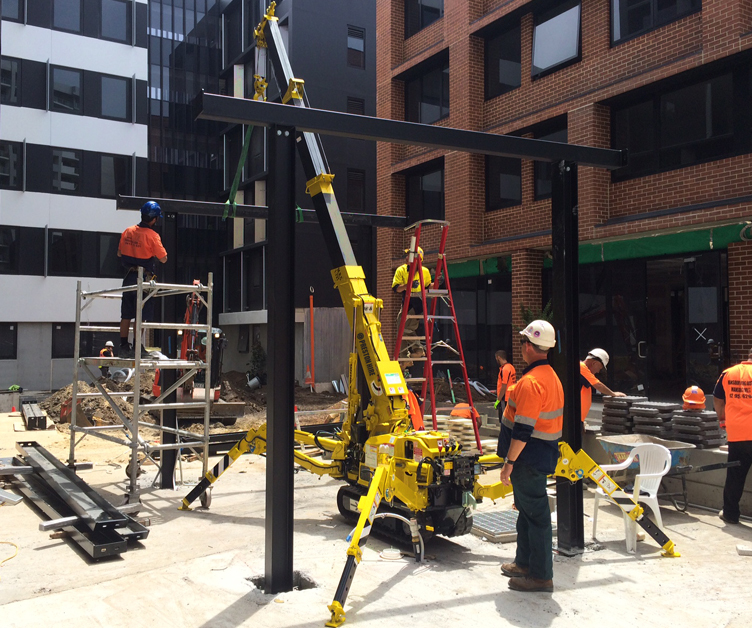 Our extensive range of adjustable props is available for hire across Australia - ensuring we can always deliver the quality propping hire solution you need. 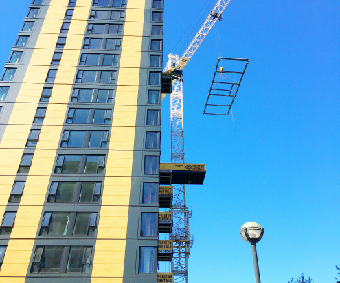 “The SuperDeck® worked really well - it allowed us to transport some quite heavy items like Gyprock, piping, steel, glass panels and a range of other gear from the ground floor all the way up to the 15th floor." 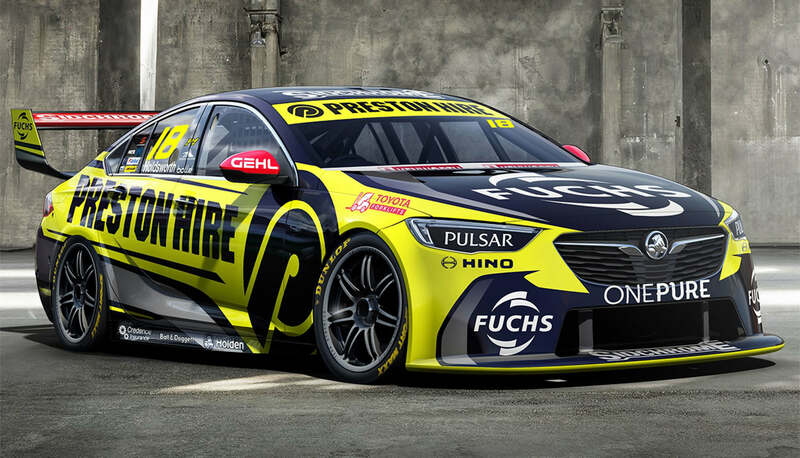 ℗ Preston Hire Introduces Unit 109 - "THE HULK".